India vs West Indies rivalry has given some sparkling moments notwithstanding the lop-sided nature of the present-day contest. Here’s a quick look back at a selection of some of the most significant moments from India’s clashes with the West Indies; a rivalry that stretches back over 50 years of cricket with various phases in the evolution of both teams. THE MATCH that will forever be etched in Indian cricket folklore. The match that kick-started India’s cricket revolution and gave the whole country a truly world-class once-in-a-generation sporting moment to feel proud of for the rest of time. The unfancied Indian team had surprised everyone by reaching the final, but no one really gave them much of a chance against the rampaging West Indies team, which was full of big stars – Viv Richards, Clive Lloyd, Desmond Haynes, Gordon Greenidge, Malcolm Marshall, Michael Holding, Joel Garner and Andy Roberts. Richards’ dismissal sparked off a batting collapse as West Indies slipped from 57-2 to 76-6 in quick time. 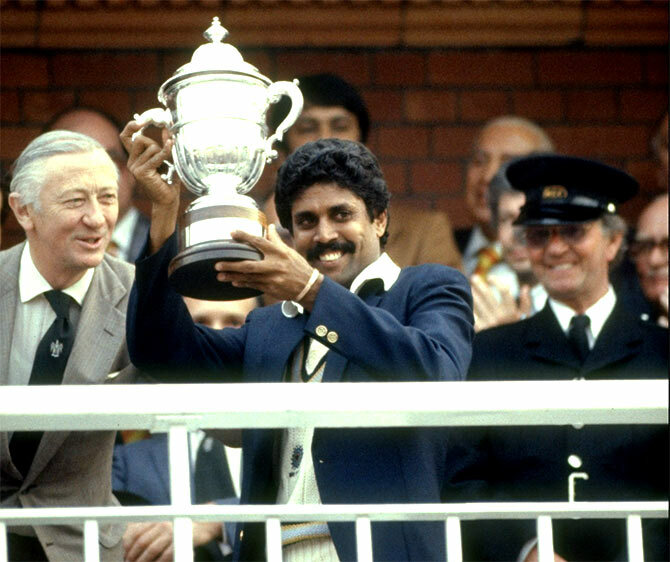 Amarnath won his second successive man-of-the-match award for his all-round display (26 and 3-12), and India got to lift the World Cup exactly 51 years after playing their first international game at the same venue. It was the proverbial watershed year for Indian cricket. They beat the mighty West Indies in a Test series, India’s maiden triumph over the Caribbeans, West Indies were the force to reckon at that time. India won the second match of the series and managed to hold the mighty West Indies to a draw in all the remaining Tests to hold out for a 1-0 series win. This was also the series where the legendary Sunil Gavaskar made his debut for India and showed his potential to become India’s greatest ever Test opener; with four centuries and a double century in the series. Exactly 24 years after his fabled debut in Pakistan, the Master Blaster had decided to walk away from the game that had brought him the adulation and admiration from kings, presidents and ambassadors. There was an outpouring of emotions across the country for well over a month after Tendulkar had announced his retirement in October. A two-Test series against West Indies was hastily organised and Tendulkar bowed out in front of his home-fans in Mumbai. The hundred in the final Test did not come, but Tendulkar did give his home crowd of Mumbai one last glimpse of his greatness with a 74 that was studded with 12 fours before he was caught in the slips off Narsingh Deonarine. He left arms aloft, to a raucous crowd who stood on its feet to salute a giant of Indian cricket. There was stunned silence when Tendulkar edged Narsingh Deonarine and Darren Sammy held on to a smart catch at slip and then refused to celebrate. That was a mark of honour to the greatest batsman that ever played the game.